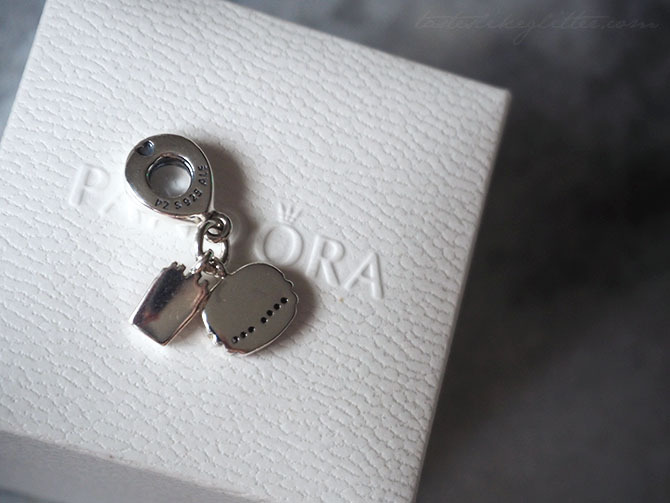 Every now and then Pandora releases a few charms that don't quite fit in with the brand. In the past, they've done some emoji-esque ones that aren't the classic charms Pandora are renowned for. 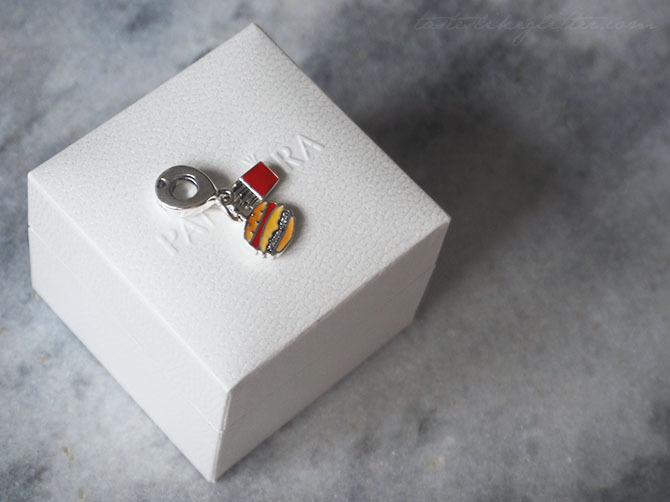 This charm could potentially be in the category, especially for some people but being a massive burger fiend I just had to have it. Especially since it was in their Winter sale. 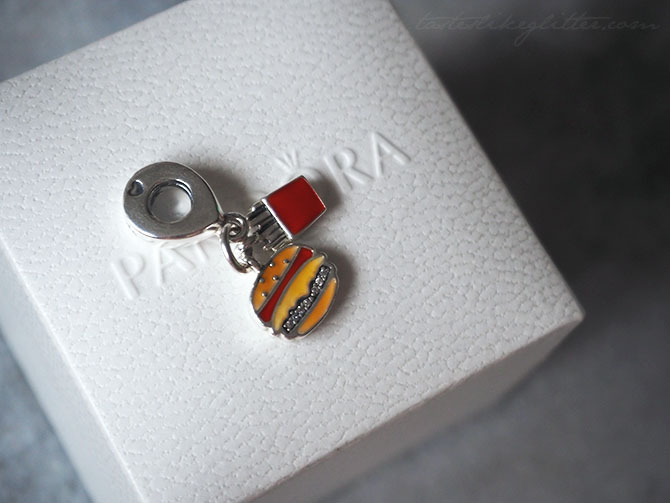 This charm is by no means lacking in detail. 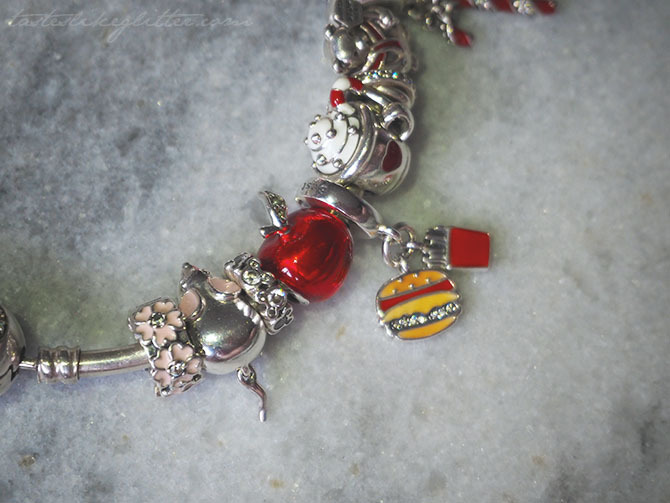 The bail in which the two charms hang off has best friends written across the top of it, with a heart either side of the bail and the hallmarks nestled away. The colourful designs use enamel for the different elements including the bun, topped with silver sesame seeds, ketchup, cheese and a cubic zirconia burger because who doesn't love a bit of sparkle? The fries sit in a little red takeout container. I personally find this fits in with the colours and themes that surround it on my bracelet so I'm really glad I picked it up, and for such a bargain too. 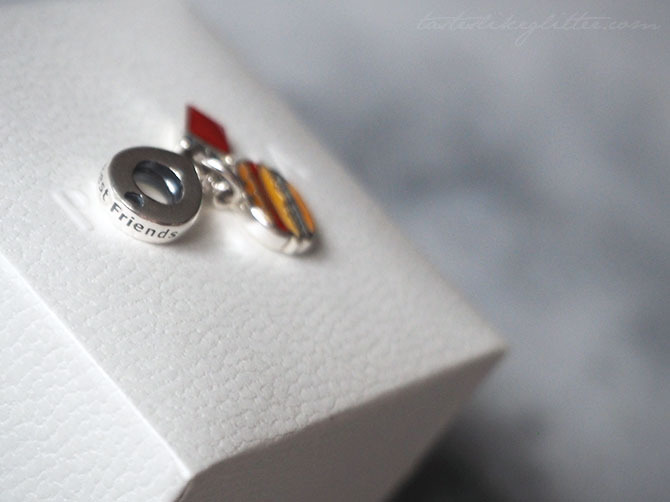 I know it won't be to everyone's taste but that's the joy of customisable jewellery, you can get exactly what you want and that is completely unique to the wearer.